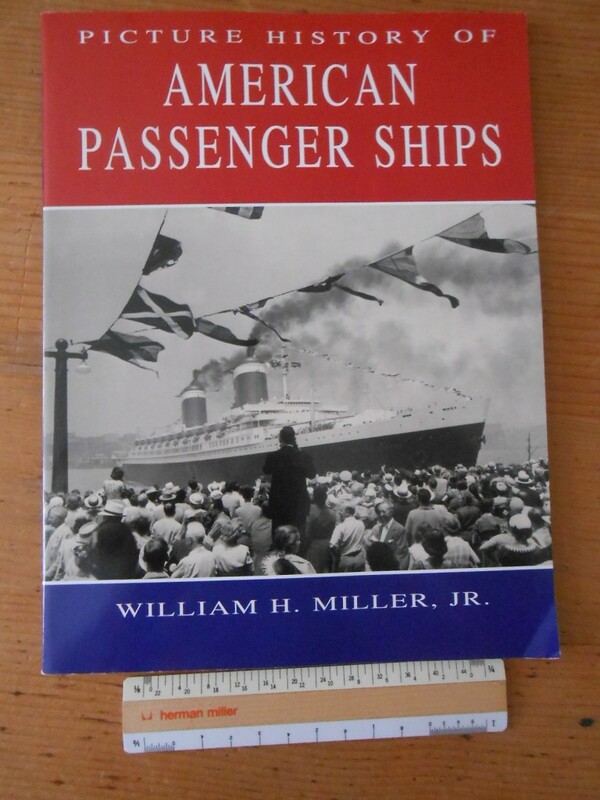 Bill Miller: The Picture History of American Passenger Ships. A Later Dover creation from Bill Miller... this one dedicated to American Passenger ships. From the early St Louis and others .. to the Mighty SSUS this book is full of wonderful photos. Bill sure has the monopoly on these types of books and these are great quick informative references. Love the RWB cover .. excellent like new condition.